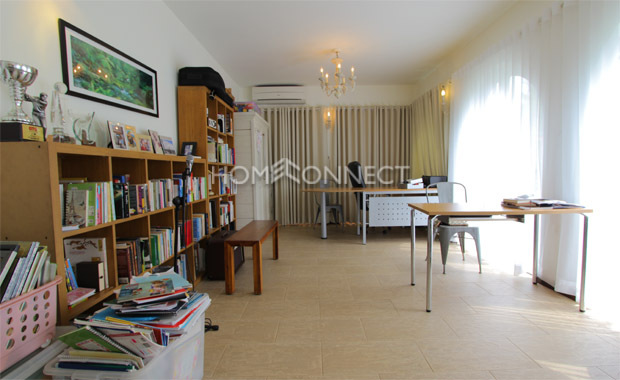 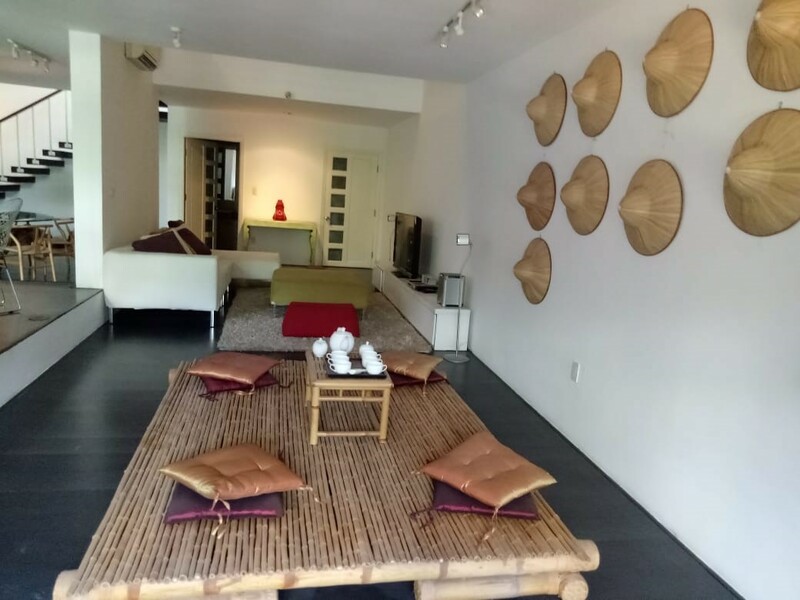 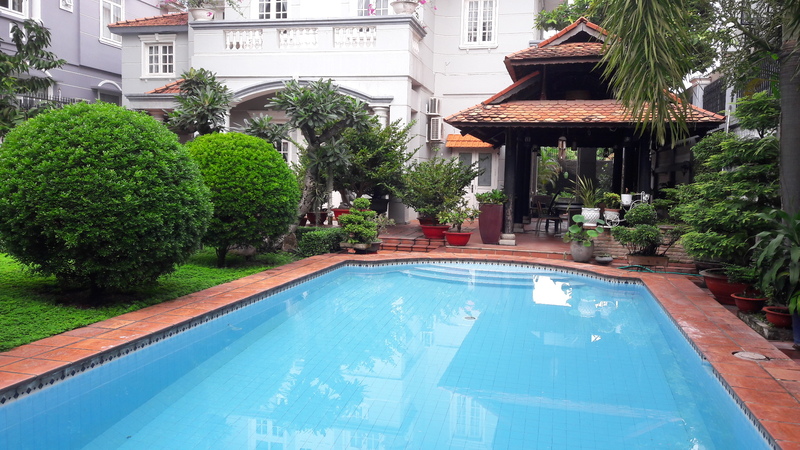 This private villa in Thao Dien available for lease is in a quiet location ideal for an expatriate or a large family. 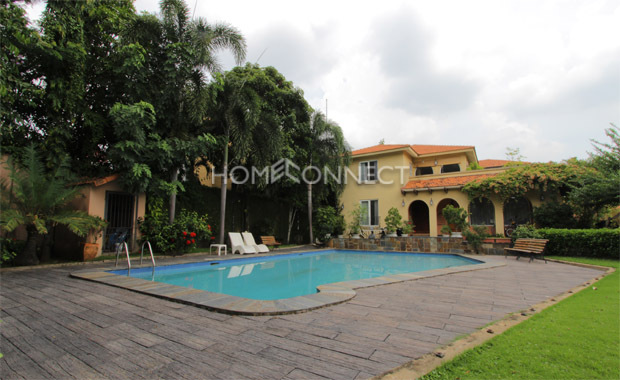 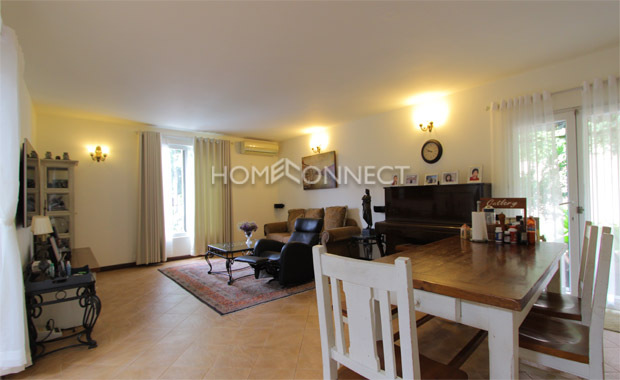 Spread over 500 square meters, this expansive two-storey fully furnished house hold four bedrooms and four bathrooms. 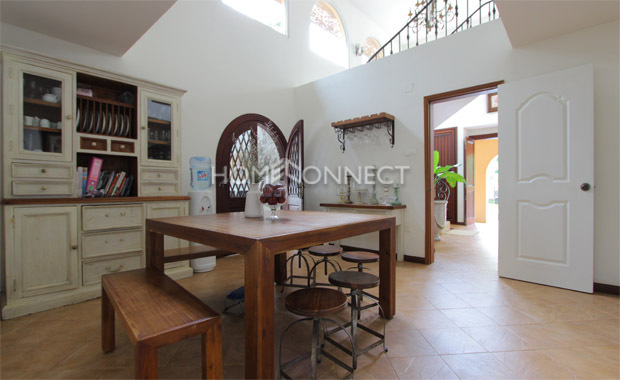 A view from the living room overlooks the private swimming pool with windows allowing natural light while the kitchen equipped with sink, countertops, cupboards, pull-out drawers, cabinets, cooking range, hood, and large windows. 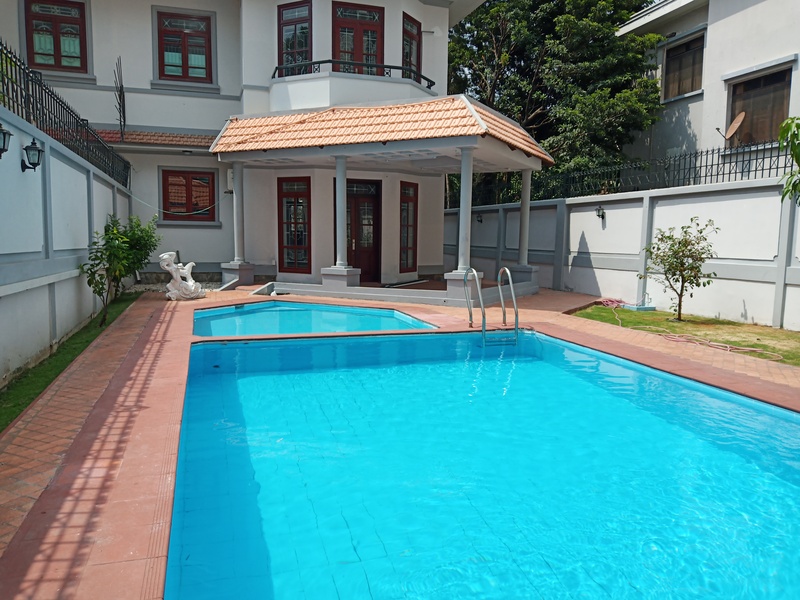 On to the upper levels are the bedrooms with beds of different sizes, built-in closets, and air conditioning systems while the bathrooms are fitted with en suite showers, vanity sinks, and bathtubs. 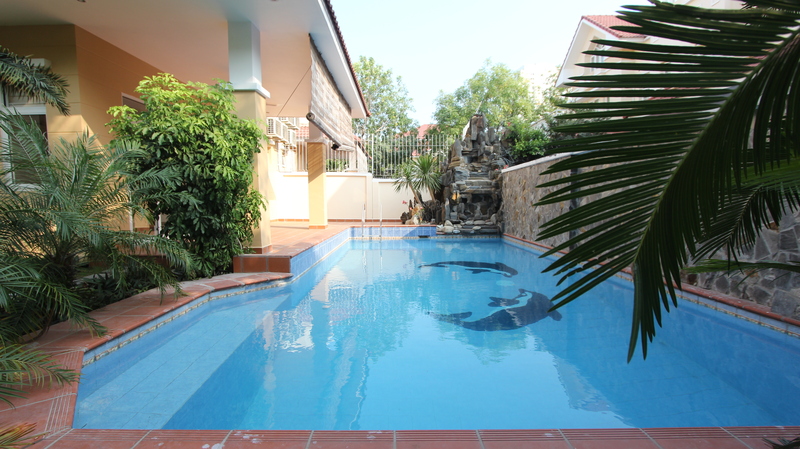 Facilities in this home include a swimming pool, car garage, garden, terrace, laundry and storage room.